This male fighter pilot mask is great for racing in cardboard airplanes. 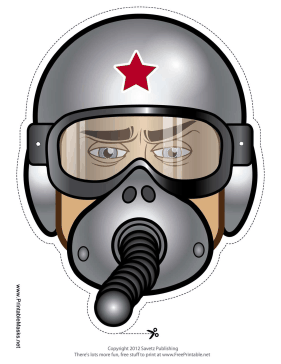 His red star helmet and silver breathing mask are sure to delight any military plane lover. This mask is free to download and print.